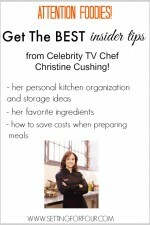 Kitchen and Cooking tips from Celebrity Chef Christine Cushing! Hello friends! Yesterday I shared with you the fabulous cooking tips and tricks that Celebrity TV Chef Christine Cushing passed on to me when I recently had the honor of interviewing her! Here are some more insider tips she shared with me including cooking time saving tips, her favorite cooking gadgets, and her fastest & simplest recipe! 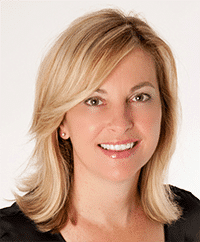 Here’s some background info on Christine Cushing! 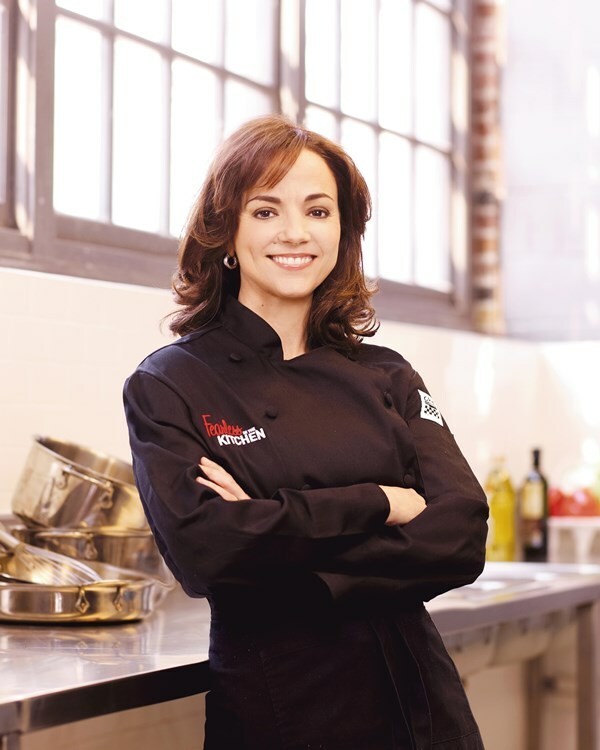 Christine Cushing is a Top Celebrity Chef and host of the Food Network’s series Christine Cushing Live as well as Fearless in the Kitchen on the Oprah Winfrey Network. She even has launched her own product line! 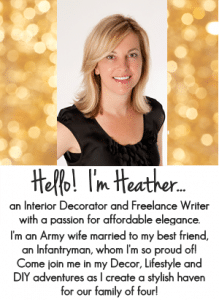 Me: We all have busy hectic lives – do you have any cooking time saving tips? Christine: My motto is cook once and eat twice. For example cook a whole chicken and serve some of it that evening and use the remaining cooked chicken for a pasta dish another night. Buying pre-washed vegetables is a great way to save time. Me: What do you consider to be a health concern that we all should be focusing on to improve with our daily cooking? 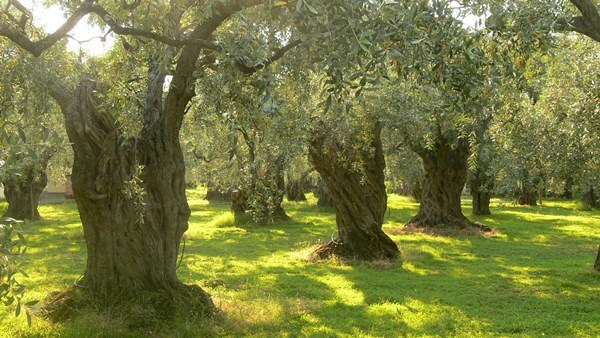 Christine: Use olive oil which is an oil that doesn’t oxidize easily or create free radicals as easily as other oils can. The more natural the oil the better. Reduce white starches. Me: What is your favorite cooking gadgets? 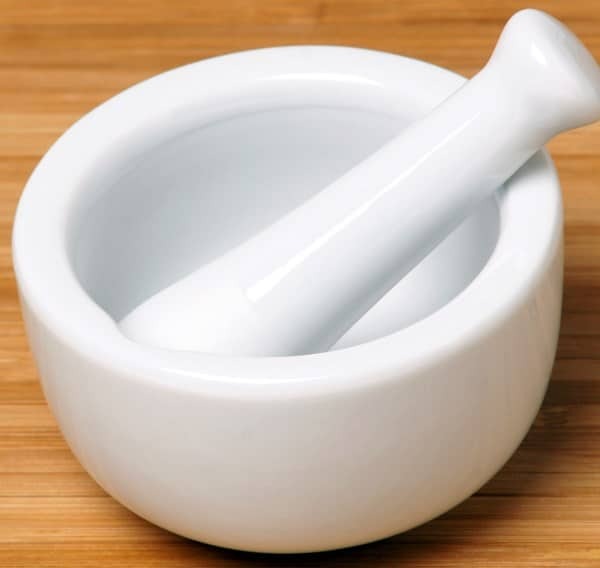 Christine: A mortar and pestle to grind whole spices and a zester microplane to grate lemons, limes, garlic and ginger. Me: What is your favorite cuisine to cook? Why? Christine: Mediterranean cuisine is my favorite because I was born in Greece and traveled to Italy and love the Mediterranean geographic area. My thinking language is Mediterranean! Christine: An Orzo dish made like Risotto – it’s creamy and I add wild mushrooms, roasted chicken stock and carmelized shallots to it as well! 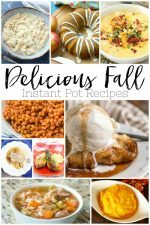 It’s a wonderful fall dish! Me: Mmmmm… sounds delicious! What is your fastest and simplest recipe? Christine: Chicken or Pork Scallopini. Use herbs like thyme and rosemary with Dijon mustard and pan fry 3 minutes each side. Serve with a green salad and roasted potatoes which are cooked in a baking dish with olive oil and herbs for 20 minutes in the oven. Me: Okay, now I’m really starving! 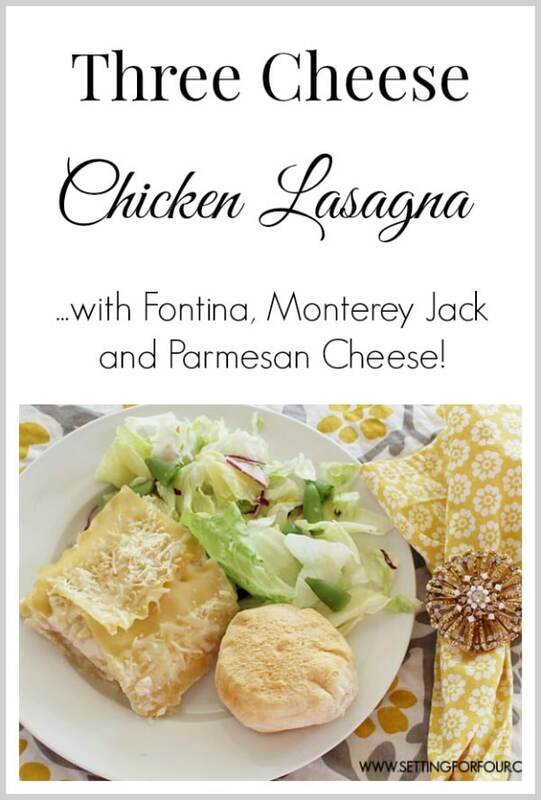 My readers love one dish meal ideas! What are your favorite one dish meals? Christine: A one dish meal made with kale and sausage (casing removed). Add onions, garlic, celery, cauliflower, collard greens, canned tomatoes and bring to a boil. Add orzo or brown rice. This is quick and easy to make and can be adapted to any vegetables that are in season. Me: Could you give me an example of a summer menu idea using ingredients that are seasonal right now? Christine: Zucchini and peppers are great cooked on the BBQ. Put peppers with skin left on, onto the BBQ while its warming up. Remove when the BBQ is ready to cook your meat and peel off the skin. Me: In your career, have you ever found yourself in a ‘pressure cooker’ environment like TV reality show: Hell’s Kitchen? How did you deal with the challenge of that? Christine: Yes I have been in that environment before! I was once hired to do an event for the Italian Trade Comission including 300 guests. They wanted me to make risotto which is not an easy dish to make for 300 people! When I arrived at the venue I realized it was a chef’s conference so the pressure was on immediately to make a meal to please a group of chefs! The other challenge was that I had to use a small satellite kitchen not the main equipped kitchen. To deal with these challenges I did a trial run before the event and had all the ingredients prepped in advance. I couldn’t cook risotto for 300 guests in one pot so I cooked small batches in 10 minute intervals. Serving one batch after the next/ When working in the kitchen you have to think on your feet and make these sort of surprises and challenges work. If you can’t do that you won’t succeed. Me: Thanks so much Christine for taking the time to participate in our interview, it was so fun and very exciting for me to get to know you better! 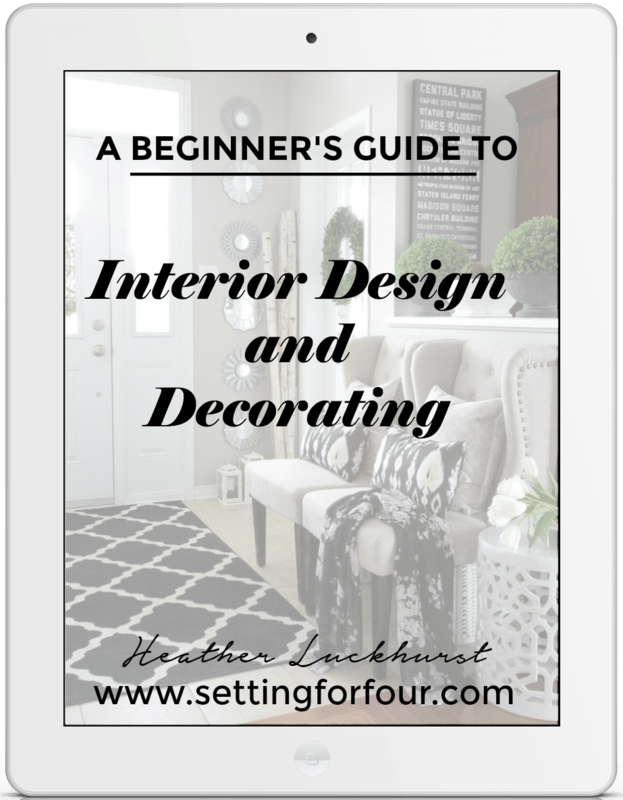 I can’t wait to share your tips and insight with my readers! 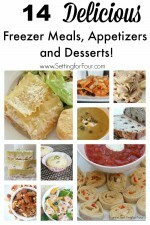 Wasn’t that amazing to learn Christine Cushing’s personal insider cooking tips and tricks! I know that she’s inspired me to try some of those dishes she mentioned to cook for my family and tomorrow I’m running out to buy a mortar and pestle!! Please take a moment and show your support of World Animal Protection and the Choose Cage-Free campaign and sign the pledge to end the cycle of cruelty. Together we can improve the lives of millions of hens and create awareness and change! 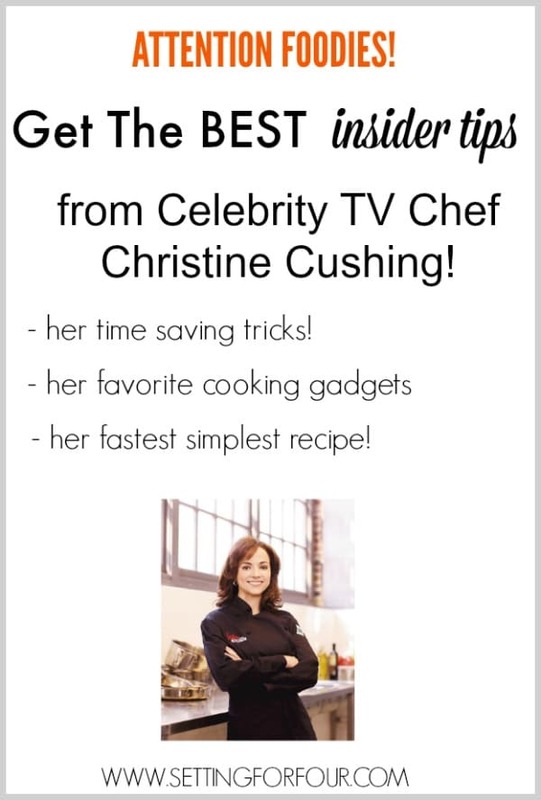 Cooking tips from Celebrity TV Chef Christine Cushing!